I don’t normally do book reviews mainly because I’m usually reading either Star Wars or Dune and I don’t want my “spiritual” friends to judge me. 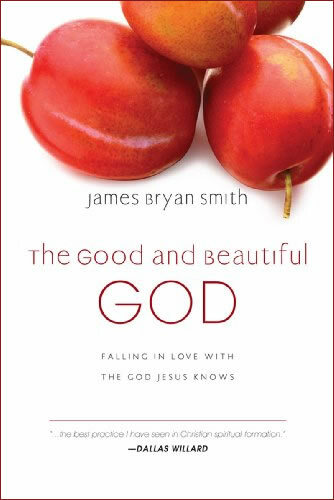 But today is different because I’m proud to announce that I’ve not just been reading, but discussing in-depth the contents of a great book by James Bryan Smith called The Good and Beautiful God: Falling in Love with the God Jesus Knows (also Kindle Edition ). From the very beginning, the author’s pedigree is what intrigued me. He was mentored by Dallas Willard and Richard J. Foster, among others, and routinely hung out with Rich Mullins. Those credentials alone made me want to pick it up, but it was what I found in the author’s reason for writing that made me buy the hard cover AND the eBook as well. This book is the first in a three-part series called The Apprentice Series and is born out of a discipleship curriculum that he has personally seen change lives. This book focuses on helping the reader understand the major characteristics of God by contrasting some common misconceptions (called “false narratives”) about God with what Scripture reveals as the Truth (called “Jesus’ narrative”). The book is easy to read and the author has a great style that keeps your attention through the relatively short chapters. Each chapter also includes an application section called “Soul Training” that helps are exercises to incorporate into your life that help to reinforce the concepts just presented. Finally, the book is organized with an eye toward small group discussion. Like I said before, the chapters are short and easy to read and the material is easy to discuss – even if someone didn’t read (that never happens though). Be warned – the discussions can get pretty deep pretty quick. So, if your goal is to have a superficial discussion so you can tell your pastor that you are reading a book, pick another book – this one won’t do. But, if your goal is to gain some Truth presented in a fun and, sometimes unique perspective that will change you from the inside out – this one is at the top of the list for me. The second book just came out and is called The Good and Beautiful Life: Putting on the Character of Christ and the third installment is entitled The Good and Beautiful Community: Following the Spirit, Extending Grace, Demonstrating Love . I have loved not only reading the book, but discussing it with my friends and I’m sure you will too.